It's time to think differently about how you tell a story. In a media-literate and -saturated age, using as many different streams of information as required or possible to tell a story just makes it seem more real. As does tricking the reader into thinking they're an active participant in the story as it unfolds—make them study it, make them follow the clues. Make it a maze only you have the key to... but one they can find the key to, with your help. Using text, subtext and meta-text (text that comments on itself), we will each decide on a strategy which makes sure your readers get all the information they need in order to connect the dots along with you and feel as though they've helped "solve" the story by the time it ends, or at least stops. This class, led by critically-acclaimed and award-winning author Gemma Files, is aimed at teaching you to expand your definitions of narrative and storytelling, to find new ways to shock and surprise your audience. Our first lecture will introduce the basics of how to combine various different sorts of documentation to tell a story from several different objective and subjective viewpoints, playing them off against each other to reveal a larger overall story. Types of documentation discussed will include site entries, Wiki-data, emails/letters, newspaper articles/media outlet posts, chat logs, blog/diary entries, comment threads, text messages, tweets, official documents, press releases, descriptions of visual data, transcripts, podcasts, interviews, films, videos, .jpgs, .mpgs, sound-files. Anything and everything. Works cited may include Dracula by Bram Stoker, “The Call of Cthulhu” by H.P. Lovecraft, A Mirror for Witches by Esther Forbes, “Ghost Hunt” by H.R. Wakefield, The Dionaea House, “#CONNOLLYHOUSE #WESHOULDN'TBEHERE” by Seannan Maguire, House of Leaves by Mark Z. Danielewski, “Pages from a Young Girl's Diary” by Robert Aickman, The King in Yellow by Robert W. Chambers, “The Pine Arch Collection,” by Michael Wehunt, From A Buick 8 by Stephen King, “each thing I should you is a piece of my death” by Gemma Files and Stephen J. Barringer. ASSIGNMENT: Pitch two to five ideas, then pick at least one, and provide an outline where each section of the outline is done in a different method (at least three). Explain how you would use these methods to tell the story. The second lecture will be about how to find your narrative through-line, what information and events move the plot forward, and when/how to reveal these elements. 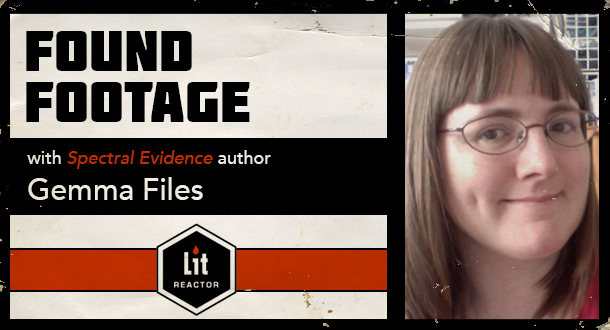 We'll also talk about indirect methods of characterization—what objective facts we learn about the characters, plus what testimony can only be subjective and why. The importance of POV will be discussed, ie: who is telling each section of the story, and why? What parts are and are not most important? Who is your real main character (not always the same character as the narrator[s])? ASSIGNMENT: Continue to develop your Week One outline and/or advance to partial first draft. If you want to switch ideas in mid-course, this is when to do it. Our final lecture will be about the challenges of writing between the lines and describing the indescribable, not to mention using an empty space or hole to imply what might fill it. What to leave out is just as critical as what to leave in. Did the narrator see what think they saw? Were they wrong in their assumptions? You need to know, even if you want them not to. Walk out with a short story that's at least outlined, partially done, or about ready to submit. 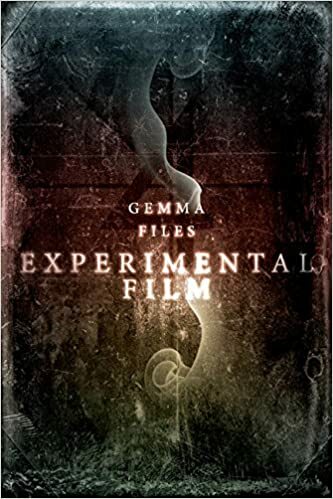 Gemma Files in conversation with horror writer, Michael Rowe, on "Queering the Genre."